Miracle Workers Auto Collision Center has the tools and expertise to repair the new aluminum-bodied vehicles like the 2015 Ford F-150. Aluminum panel repair is a different process than that for steel panels. 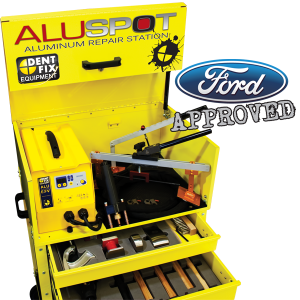 Miracle Workers Auto Collision Center has made the investment into a Ford Approved Aluminum Repair Station. Our technicians are also I-Car Certified in the new aluminum repair process. If you need repairs on your aluminum-bodied vehicle, you can trust Miracle Workers Auto Collision Center to get the job done right!